Contributions received will be used to enhance educational opportunities including the topic focused Spring Workshop and funding of premier lecturers to the NESPS Annual Meeting to enhance the quality of the meetings. If you have supported the Education Fund in the past thank you for your contribution and we ask that you continue your support. If you have not yet sent in your contribution, please support the Northeastern Society of Plastic Surgeons with a tax deductible gift. Your gift is greatly appreciated. 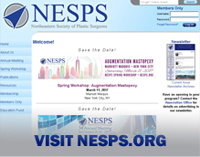 You can make your donation online in the Members Only section of the NESPS website. Thank you very much for your commitment to the Northeastern Society of Plastic Surgeons and the education of our specialty.